My first flight from La Paz to Lima got in at around midday. The next flight to Madrid did not leave Lima until 9pm so I had a lot of time to kill. Luckily, Rachel, a girl in the group also had a stop over in Lima so we both went back into the city to wander about, do some final gift shopping for the family and grab some food. The weather was incredible in Lima and made me realise how good it would have been to have a few more days in this incredible city. There was so much to do and day 1 & 2 of the tour only scratched the surface… hindsight is a great thing! After the last minute gift shopping and food it was time to say bye to Rachel and head to the airport. I left the Lima city centre at 5pm and it’s a 40 minute taxi journey. The traffic is terrible in Lima and especially during the rush hour. It took us 1 hour and 35 minutes to get to the airport. As much as I moan about the M3 and M25 being a car park you can’t help but get the sense those motorways have it more organised. It was just chaos getting to the airport. Nothing like a bit of stress to keep me on my toes before I leave to go home. Oh and to make matters worse our flight got delayed because the pilot got caught in the traffic… you couldn’t script it. Luckily there was minimal impact on the connecting flight at Madrid but still you hope things would go smoothly at least once. Adios Peru. I will be back. It had that feel to it. We went to a decent Thai place in La Paz and were all sat there having a laugh as normal but we knew the inevitable speeches were coming up. I was sat with Rema, Christina, Jono and Evan and we spent a lot of time looking through photos, reminiscing and talking about the future. This meal had a very different feel to it. Evan stepped up for a 3rd time to do a speech to Elard and thank him for all his help. This was his penultimate tour after 10+ years with G Adventures and I’m being completely honest when I say it was down to him that we all had one of the best holidays/tours ever. He was an essential part of the group and a genuinely good person as well. You could tell he felt humbled and a bit emotional from the speech. He echoed that we were not just a group but became a small family and I think we would all agree. It was a fitting way to end the trip. After getting back to the hotel we knew this was the final goodbye. So one by one we went around and gave eachother a hug and said goodbye. 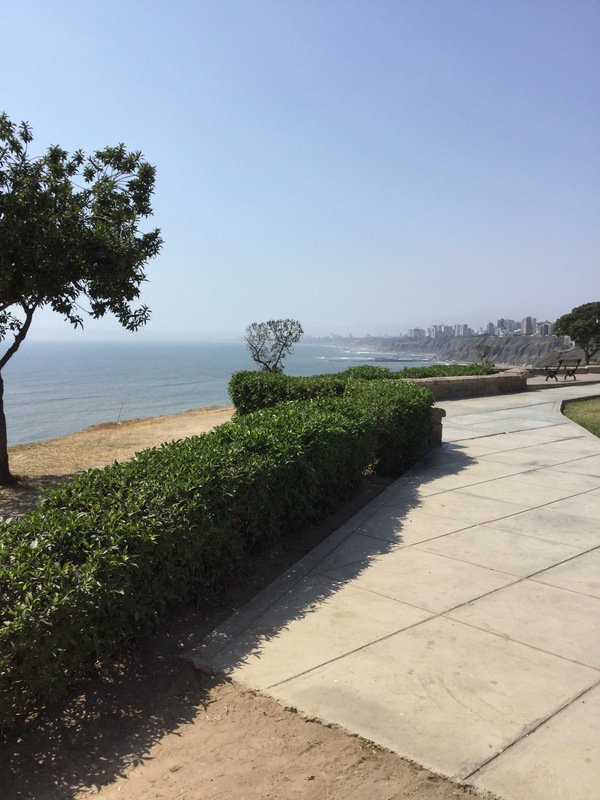 When I first landed in Lima I was nervous and thought I’d fucked up by booking a 3 week tour on my own. 3 weeks is a long time if you don’t enjoy it and don’t enjoy the people you are with. After meeting the group on day one all those fears were gone and it turned out to be the best trip of my life and I’ve met some of the coolest and genuine people you could hope to meet. To now say goodbye was really painful. Deep down you know there are some people you will never see again because that’s life! But I hoped we would all have some sort of reunion. Well that’s it. My alarm is set for 5am to pack and get my flight from La Paz to Lima… I have 3 different flights to get home and will be travelling for around 31 hours in total so it’s going to be long. 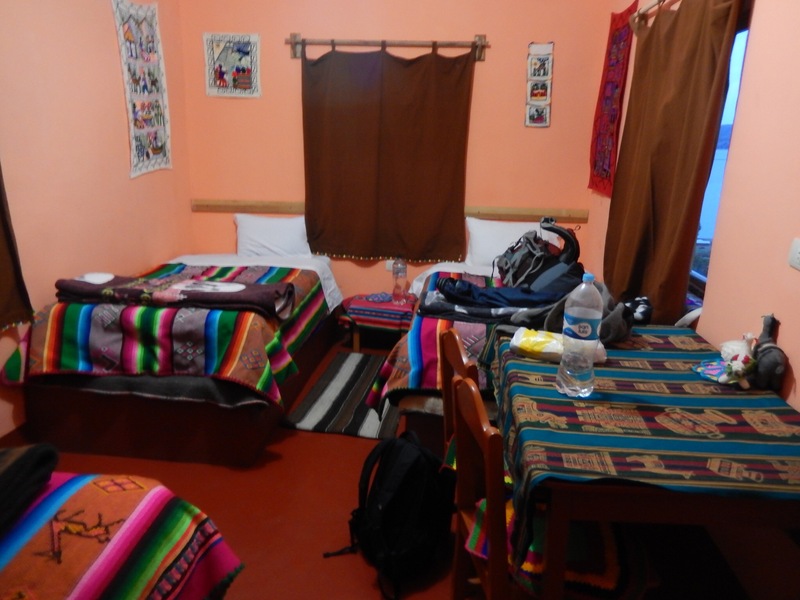 The tour is Lima to La Paz so we eventually had to arrive in La Paz. Although it was a journey from 7am until 4pm so another long day! 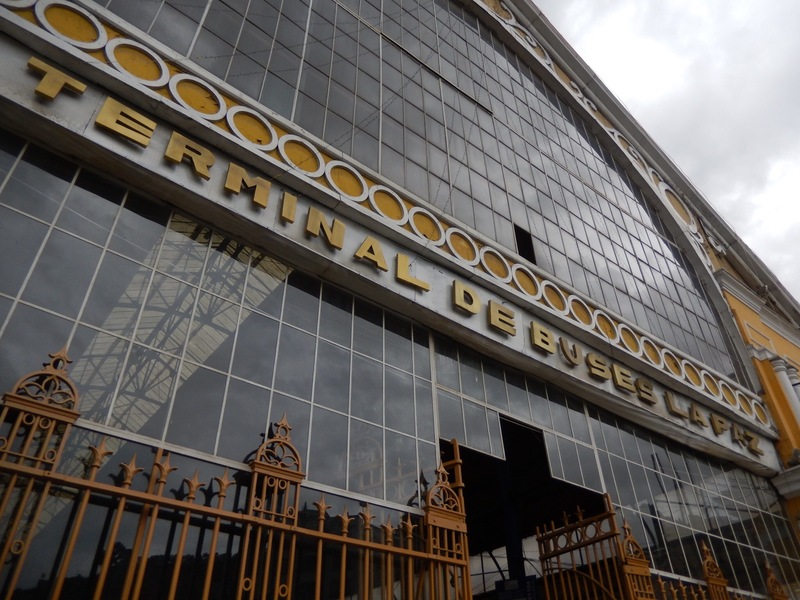 We would be crossing the Bolivian border and I have never done an in country border crossing before. Only at airports in Europe or the US where security is pretty tight! After a really long coach journey we reach the border. 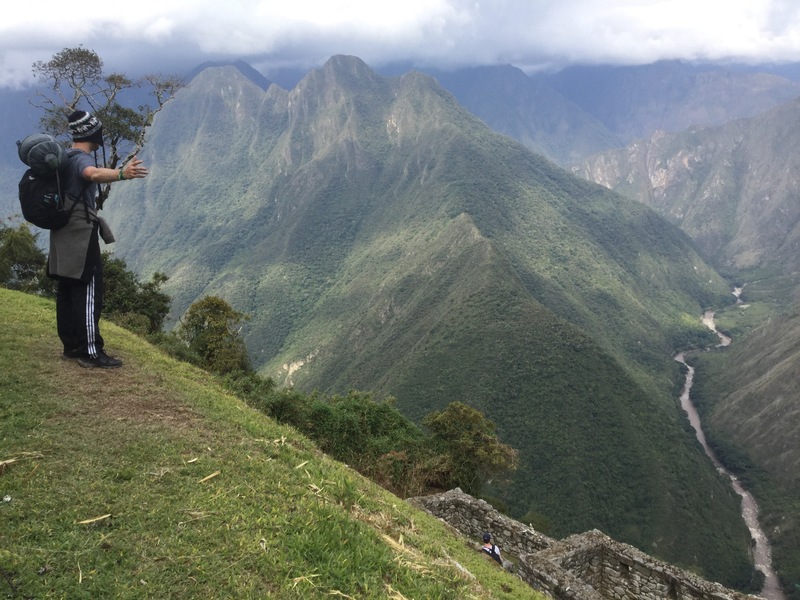 In fairness it did not look like a stereotypical border at all… it was a hill, with an archway at the top and a sign welcoming you to Bolivia. After the mandatory passport checks and immigration forms we were let through. Bolivia was different to Peru. There was just a different sense. 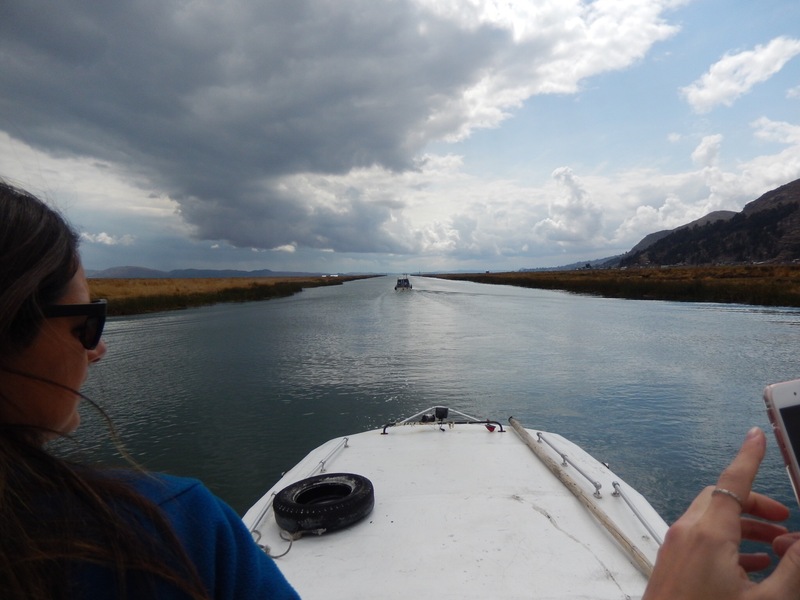 There was one interesting part to an otherwise boring day… we had to cross a small river… on a wooden boat. And our coach had to cross on a tug boat which literally looked like a floating piece of wood. I would never see this in the UK. I asked one of the guides if coaches have ever sunk in the water and they didn’t know but with this type of transport it’s hard to believe it has never happened! Glad I took all my valuables with me. Our coach made it, thankfully, and now we have another 3 hour bus journey to La Paz. La Paz is one of the highest capital cities in the world… in terms of altitude. When we arrived it looked like a giant city built into a hole in the ground surrounded by hills. It wasn’t the most attractive city I’ve seen but it definitely was busy and had a lot to offer. Our hotel was only 15 minutes from the bus station and then it’s time for our final meal together as a group. The reality of saying goodbye to everyone just got very real. It’s a reality that creeps up on you and you don’t want to do. Post holiday depression setting in already – and we’re still on holiday! The final night out… its come around quickly! It’s Wednesday evening (7th December) and our final night out because some people, including myself, have to leave on the Friday. 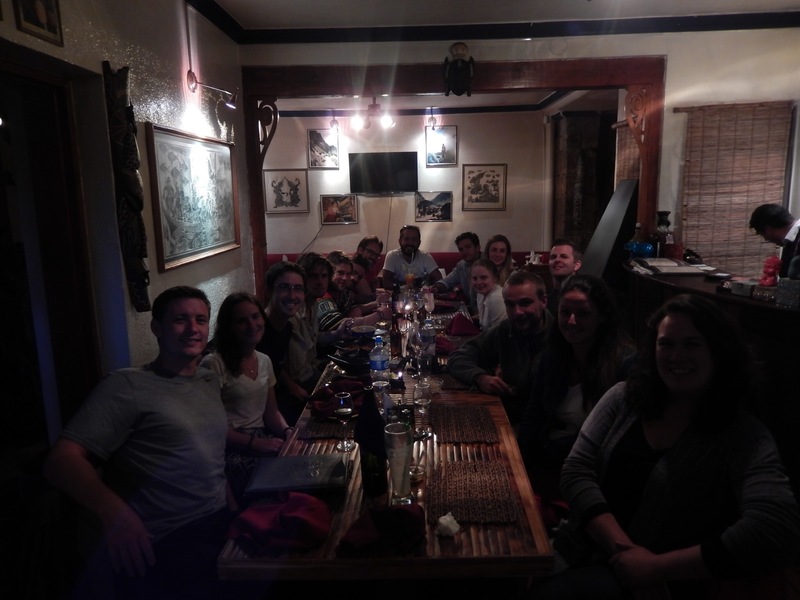 We go for our final meal in Puno at a small local restaurant. After a number of beers, wine and sangria we decide to go to a local karaoke bar. Elard (our CEO) had never been there before so had no idea what it would be like. This karaoke place was pretty small… had a complete mix of songs but the drinks were really cheap! A double jack Daniels and coke cost S./15 which is about £5. In the U.K. you would easily be looking at £10+ outside of London. There was a bottle of absolute vodka for S./90 which is about £35… so obviously I bought one. Our group got stuck in and we requested songs like Angels – Robbie Williams, Stand by Me, Elvis Presley – Suspicious Minds, Grease – Summer Nights and Iris – Goo Goo Dolls. There were locals in this karaoke bar too and they sang local songs or Spanish ones. It was fair to say when our songs came on we absolutely took over the place. Even to the point all the locals would join in with us singing. Getting stuck in to Peruvian life on the island! The alarm goes off at 6am. The family were not due to come and get us until 7.30am but I wanted to use some of the time to catch up on my blogging. At 7.30 we get a knock on the door and the grandmother has breakfast ready for us. We go into the Cucina (kitchen) where we are given a bowl of dough. The grandmother shows us how to roll and kneed the dough to make flatbreads. After flattening all the dough she cooks the bread on the stove and gives us a plate of these with jam and coffee. They tasted amazing! I want to know the recipe. They are like a sweet pancake and with jam they are even nicer! During breakfast one of their grandchildren comes in and joins for some food. He is learning English at school but was too shy to speak to us in English. He must have been about 6 or 7 years old so it’s understandable. After breakfast he runs outside and grabs a football. Obviously I’m keen to join in and we are asked to play a bit of football with him… the only different being because this is an island and essentially a farm the place to play was on a hill top in amongst the pigs and the pigs sty. It was an interesting experience to say the least! We also met the family dog called Rambo who was one of the most friendly dogs I’ve ever met! After about an hour of messing around with a football and probably getting sunburnt (again) we go to offer help to Papa Jesus (the grandfather). 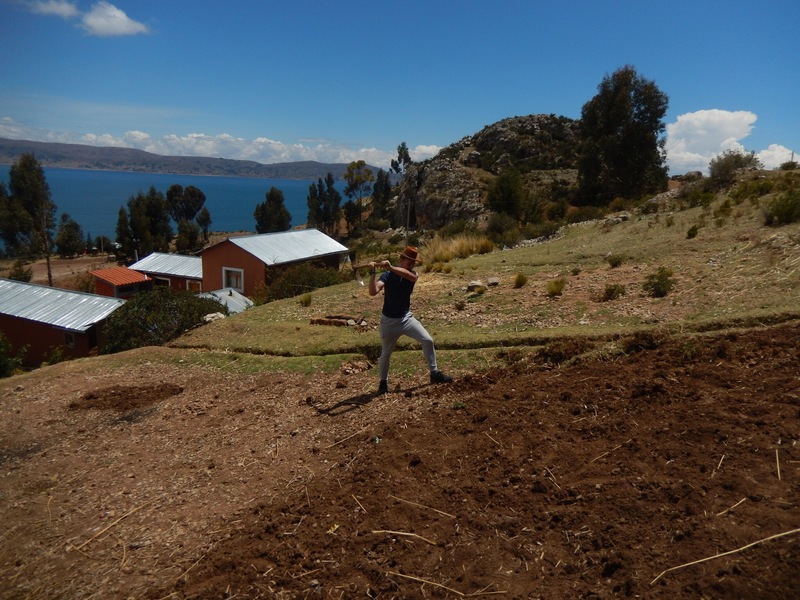 He takes us up to a rocky field and gives us a few pick axes. We were asked to turn up the turf to reveal the more fertile ground. They are going to use this to grow potatoes. After 1hr30 mins of digging up the ground we were absolutely shattered! It was “Calor” (hot in Spanish) and we were then offered lunch. It felt rewarding helping them do some work that will benefit the family and also humbling to experience life as an islander. Again, we live a really sheltered life in western society and it was nice to have our eyes opened a little. After another amazing round of food we were taken back to the docks where our boat was waiting. Slowly but surely the other groups came back with their host families and we started sharing stories of what we had been up to. Some people ploughed a field with two cows. Some had to herd sheep. A lot had to dig up the ground for farm land. Everyone felt an overall sense of achievement and we were all really pleased we had a rare opportunity to do this. Now on a boat back to Puno and the sun is shining… time to try and catch some final rays so I’m not still pasty when I get back to the UK. After arriving on the island we all greeted by the local families who were clearly excited we had come to join them for an overnight stay. They had also brought a band down to the docks which played music and followed us up to some of the main houses on their island. It felt like we were quite important with a marching band following us. The first thing the locals wanted to do is challenge us to a football (“soccer”) game. We had all played soccer quite a few times with mixed results – mainly due to not being used to the altitude. I was pretty excited to play this time because there was a big crowd and I had heard the locals are pretty competitive and physical which is the type of football match I enjoy most. We started the game and immediately went 1-0 down. Pretty frustrating! However we went on bit of a spree and a few minutes later we were 3-1 up. The game was pretty close and for locals who spend a lot of time on the island they were technically pretty good! It finished 6-5 to us and was nice to get a good result at last! The local families then brought traditional attire for us to wear and began with dressing up the girls in colourful skirts. The guys also got dressed up in a colourful poncho. We were then shown the local dancing and had to copy with a partner. It was hard work and I realised how bad my multi tasking is and also my co-ordination! After this we were all taken to our separate family houses. I was sharing with one of the guys who could luckily speak some Spanish. These families could not speak English and it made me realise how important it can be to speak more languages – I think in the U.K we are genuinely a bit complacent when it comes to languages and we rely on the fact most countries speak English to some degree. The local family cooked us an amazing meal on a fire based stove. This was all hand made. Their table, table cloth and plates/cups were all handmade it was incredible. They were grandparents on the island and were really pleased we had decided to come and stay with them. After a nice dinner we helped with the washing up – it felt like the least we could do! We got to bed around 8.30pm and set the alarm for 6.30am. It felt nice that we could get a proper nights sleep to recover from the past few days. In the morning we have the opportunity to help the families with their every day tasks which can include farming. We were up early again to get on to a boat that would take us out into Lake Titikaka. Lake Titikaka stands for Puma Rock so it’s the lake of the Puma and the Rock. The Puma is a big symbol in Peru. Our transportation from the hotel in Puno to the port were some pushbikes with carriages on the front. 2 people could get into each one and we raced down to the port which was good fun! Not a bad way to start the day. Once we got on the boat we went to the floating islands. There were several of these located on the Lake but a few had become commercialised meaning that the people did not actually live there – they just got a boat there before the tourists to keep the image that they lived there. We went to some floating islands a bit further on which were more genuine. Essentially these were man made islands created by placing large quantities of mud into the water and tying it together using strong reeds. This structure was then anchored using a few reeds on either side to stop it floating about. The inhabitants would then place more reeds on top and pile them up. When you walk on it it’s like walking on a mattress – which is really soft. The locals then built an outdoor kitchen and also a few houses which had a bed and electricity in. The Peruvian government donated some solar panels so the inhabitants could have some electricity to help them survive. This was an incredible experience and I’ve never seen anything like it. They had created their own boat which they offered us a tour on. And they also set up little market stools on their island where they sold hand made goods and crafted items. Once we had finished visiting here we sailed on to an island where we would be doing a homestay with locals in their homes. Time to move city. 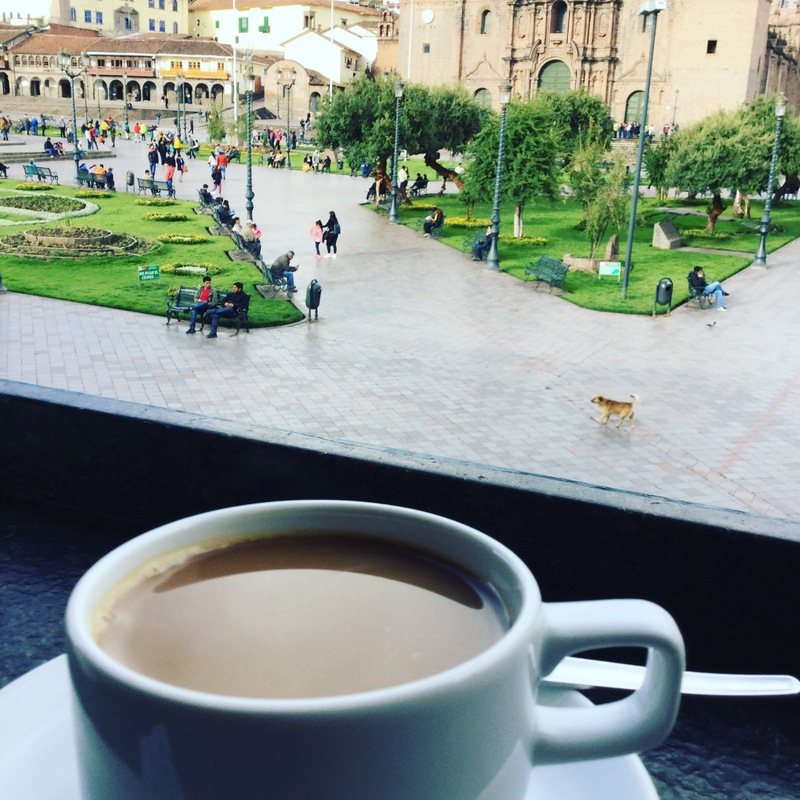 We’re all used to this packing up and moving malarkey but I think most of us had quite an affection for Cusco so it’s a real shame to leave it behind. We set off for the bus station at 7am. This would be fine usually but I had no sleep due to the night out. Got back to our hotel at 5.30am which was pretty grim. Our bus trip to Puno takes 7 hours… it wasn’t an overnight bus but again it’s pretty bad when you are crammed on for a long period of time! The only upside is this bus had a lot of up to date movies in English so we could watch these to pass the time. 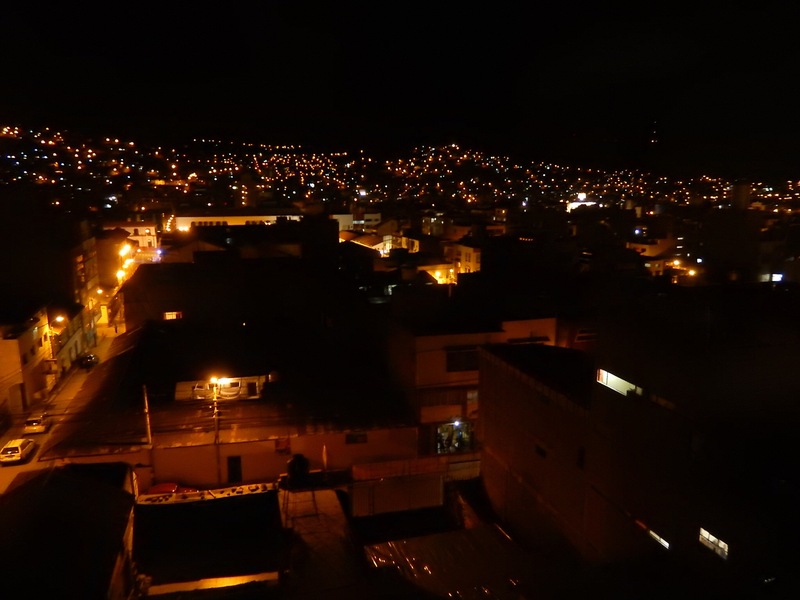 After arriving in Puno we had a quick tour of the city which was cool. It’s a nice place but we were told it’s a bit more dangerous for tourists so we all stuck together closely and watched out for eachother. After some food at a local restaurant we all went back to the hotel because we were so tired. An early night before a busy next day visiting Lake Titikaka, the floating islands and then our home stay. It was good to get a full 8 hours of sleep! There were no alarms or wake up calls set for the Sunday morning. At last we could just chill out and recover from the trek. The hangover from the night out wasn’t so bad either. A quick trip to Jacks cafe for a fried breakfast sorted most of us out. The plan for my Sunday was to relax, get my washing done, buy a few gifts for the family (particularly mum) and go for a massage because my whole body was hurting. Our CEO recommended a massage place which most of our group went too. The problem with massages is that because I don’t go often at all and play sport or go to the gym there are a lot of “knots” in my muscles. And when they find these they attack them for a while which causes agony. It turns out my shoulders are riddled with them. After a 45 minute massage I felt a million times better and my legs felt much more relaxed. The rest of the group also felt the same and it was much needed. In the evening we went to a local restaurant called the Fallen Angel which was amazing. They cooked steak to perfection and we had a really good meal before another night out. Pre drinks started at 9.30 and by about 10.45/11pm we were wandering down to… you guessed it – Mythology again. The other group was in the other bar and because Mythology was quite quiet we moved there quickly. It turned out to be a really good night out. Our group is quite guy heavy and the other group was very girl heavy so when we both met it was a perfect mix. 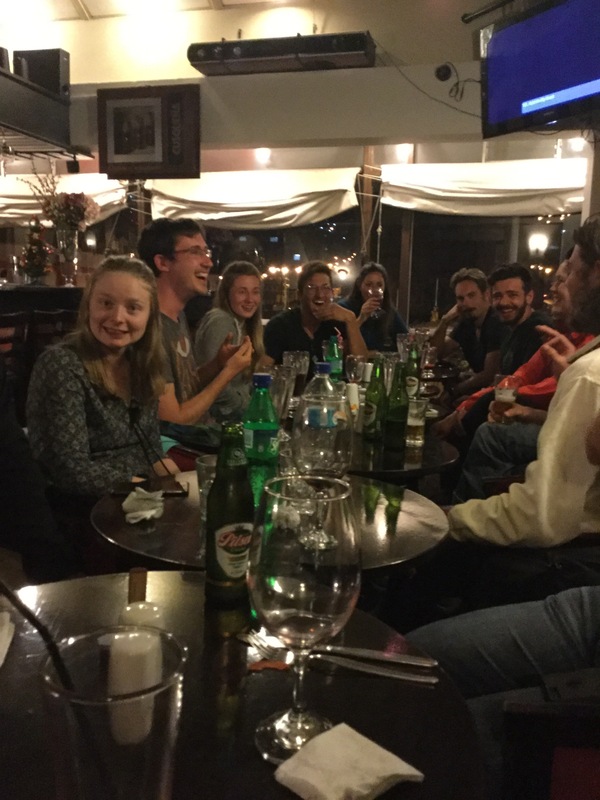 Another good night out in Cusco!